Fabulous all black look, with that necklace and your nails!!! Thank you for following my blog. I am returning the love and following your blog too. super look！Such a fashion girl you are! I love your look, super pretty. I love this outfit, especially the necklace! Great contrast, you look awsome! Amazing Outfit and you look stunning! Love this all black outfit. 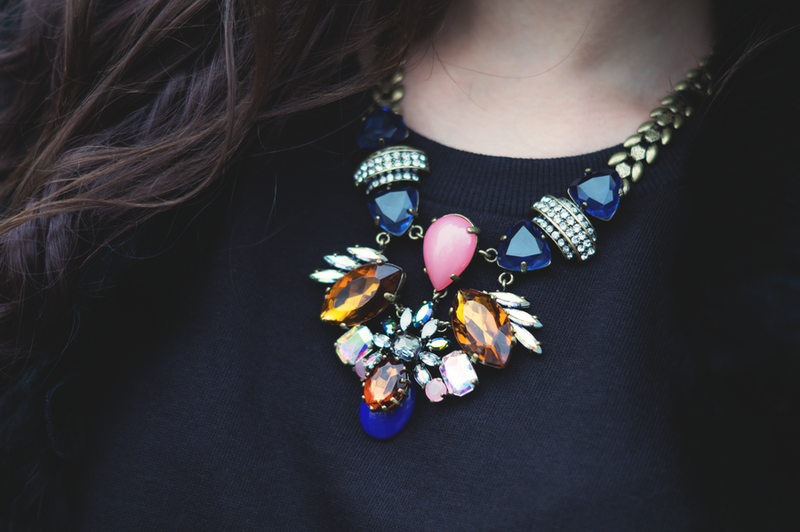 The necklace is the perfect pop against it! Perfect Outfit. Love the coat and necklace. Ok...your makeup is absolutely flawless!!! Lol I know it's all about the outfit, but WOW your makeup just looks so incredible!!! I also really love your necklace! A perfect pop of color against your all black ensemble!! LOVE!!! Thank you so much for your sweet comment on my blog! I am now following you! #436! Can't wait to see more! !